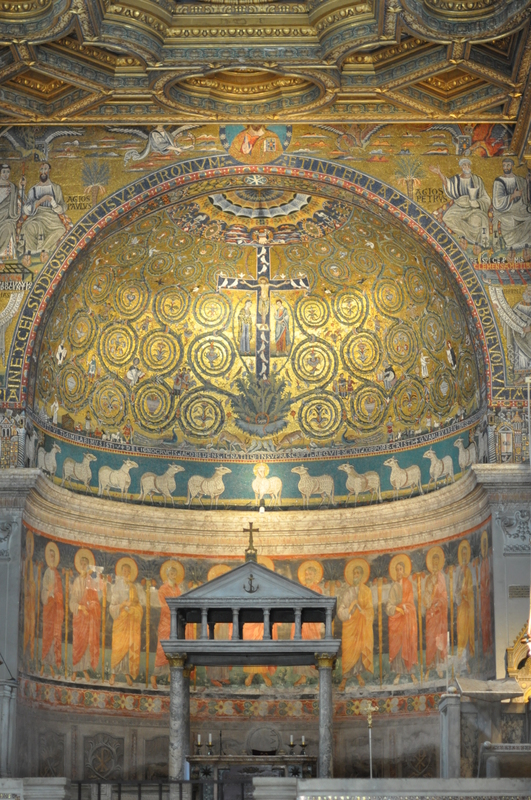 Yesterday I visited the San Clemente church in Laterano, Rome. In church visiting terms there is old – and then there’s very old. As you arrive you walk through the cloisters to the twelfth century church which had something of an eighteenth century makeover with a new facade and nave ceiling, as well as a renaissance chapel with fifteenth century frescoes. 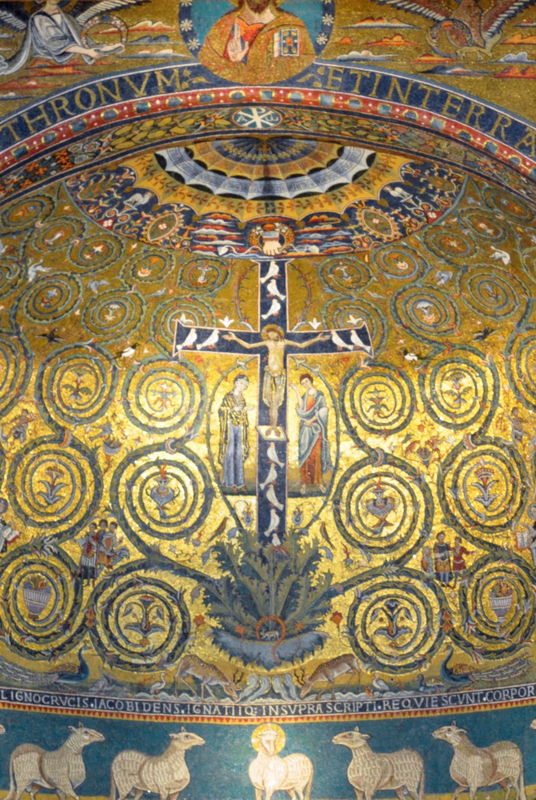 For me, the glory of the church is the twelfth century mosaic of the triumph of the cross. Filling the apse, it provides a majestic back cloth for the altar and medieval choir stalls. But this multilayered history is nothing compared to what lies below. Beneath the medieval church is another church – a fourth century basilica first built soon after Christians ceased to be a persecuted and so were able to construct public buildings and worship in them openly. It is dark because, there are of course, no windows now, for the ground level has risen in the intervening centuries. The basilica was adapted to become the foundation and crypt of the ‘new’ church, but there is a real sense of what kind of building these early Christians worshipped in. So still we build (or stand) on the shoulders of those who go before us who hand on the faith a great cloud of witnesses. But there’s more, because beneath the fourth century church there is a second century temple devoted to the worship of Mithras. Here, amidst fancy brickwork constructed not long after the later books of the New Testament were written, the visitor can imagine the festal meals of that Persian cult. Here the relationship to a previous age is more ambivalent. Was the basilica built here because it was seen as a sacred site and so a place of worship, however pagan? Is this an example of inculturation, with all the questions that such apparent syncretism can bring? Or is this an example of triumphant and confident church planting – building on a pagan site because no name is as strong as the name of Jesus? Either way, there are questions which can have an edge to them. Oh yes I remember this and Laterano entered the everyday vocabulary of the Duffield family. When we go out we always say – Bye, see you in Laterano. It’s so much richer than, see you later!